THE DUP has hit out at a major United States investor over his suggestion that inequality between Protestants and Catholics in Northern Ireland still needs to be monitored. New York State Comptroller Tom DiNapoli spoke out during a wide ranging visit to Northern Ireland where he met business leaders, Stormont politicians and victims of the Troubles. 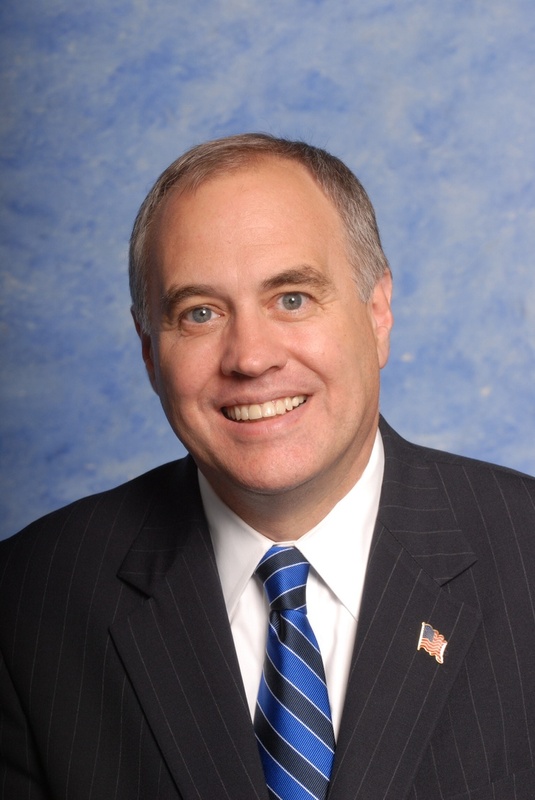 As New York State Comptroller Mr DiNapoli oversees the $176.8 billion New York State Common Retirement Fund, representing one of the largest institutional investors in the world. His office has strong links to all sections of Northern Ireland politics and is widely respected as an important supporter of the economic growth that has underpinned progress in the peace process for all communities. But the DUP objected when he underlined the continuing importance of the MacBride Principles, which first emerged in the 1980s to steer US investment in Northern Ireland towards businesses that showed rigorous commitment to fair employment between Catholics and Protestants. The MacBride Principles were promoted by campaigners wishing to tackle discrimination against Catholics, but his decision to raise the issue was criticised by the DUP, which said large scale Catholic unemployment was a relic of history. Statistics show that while in the early 1990s Catholic unemployment was twice that experienced by Protestants, the gap has narrowed to a margin of two percent. The Catholic community does, however, continue to experience higher levels of deprivation than the Protestant community. Mr DiNapoli told The Detail: "Certainly from our point of view as New Yorkers, we just take pride in the fact that we were leaders of the MacBride Principles. “I believe the MacBride Principles had an impact over here in a very positive way and continue to. “Part of my responsibility as comptroller is to monitor the McBride Principles…both in our investments and on the contracts that we have with companies that man operations here. The tensions around fair employment and wider equality in Northern Ireland surface as the DUP and Sinn Féin are locked in a bitter dispute on the issues. And this latest row sparked further clashes. Mr DiNapoli said he had a very positive visit to Northern Ireland and met groups from across the two main communities. He also expressed concerns over the impact of the economic downturn on all sections of society here. He said huge progress had been made in Northern Ireland and it was important to protect that, while still dealing with difficult economic issues, equality issues, plus the political pressures that remain from the legacy of the Troubles. He said of the DUP’s criticism: "I come from New York, there are always a lot of tensions in New York as well. Tensions are okay, you know. The DUP said it objected to the raising of the MacBride Principles at a time when it said Northern Ireland was looking forward. A DUP spokesman said: ’Whatever relevance some may have attached to the MacBride principles in the past they are now a relic of history. It is unfortunate that there are some people, who do obviously have an interest in Northern Ireland affairs, but are not fully acquainted with the current situation here. “Those who were most vocal about the MacBride principles in the past notably failed to oppose the institutionalised discrimination which was incorporated within the Patten report through 50:50 recruitment. It is also notable that within many public bodies, it is the Protestant community who find themselves underrepresented within the workforce. The 2014 Peace Monitoring Report, which collates figures on Northern Ireland society, found that in both employment and unemployment there is a trend in the workforce showing a ‘convergence between Protestants and Catholics’. It said that in 1992 the unemployment rate was 18% for Catholics, double the rate that existed for Protestants. But by 2012 the rates had narrowed to 8% for Catholics and 6% for Protestants. The report found: "Catholics still experience more economic and social disadvantage than Protestants. “According to the Labour Force Survey they are more likely to be unemployed, according to the census they are more likely to be in poor health and, according to the Family Resources Survey, they out-score Protestants on almost every measure of social deprivation. The DUP and Sinn Féin are at loggerheads after senior unionist Gregory Campbell raised the use of Irish by republicans in the Assembly, but was widely accused of mocking the language. Sinn Féin President Gerry Adams subsequently apologised after using the word “bastards” to attack opponents, arguing that he was referring to bigots and not unionists. Sinn Féin equality spokesperson Bronwyn McGahan said that the DUP stance on the Irish language and the MacBride Principles underlined the need for equality legislation. Ms McGahan said: “It never fails to amaze me that anyone who strays from the DUP view of things are accused of not being fully acquainted with the situation here." She said Comptroller DiNapoli’s observations “couldn’t be more appropriate”. “The DUP comments that ‘Our focus should be on the future…instead of harking back to a past from which we have all moved on’ is ironic coming from a party – many of whose members’ attitudes towards equality are still stuck in the 17th century." DUP representatives have rejected such Sinn Féin claims and said they are committed to fairness. They have also accused Sinn Féin of undermining the equality debate through Mr Adams’ strongly worded attack. But Ms McGahan cited the data showing higher unemployment and deprivation among the Catholic community. Meanwhile, Mr DiNapoli also expressed concern that cuts forced by the international economic downturn should not jeopardise the progress made by the peace process. He said such economic challenges faced politicians around the globe and the leaders at Stormont were best placed to make their decision on the best way forward. Mr DiNapoli said he ended his visit with a feeling of optimism. He said of the investments from the fund he oversees “we can be part of some additional opportunities to invest, make money for our pension fund, for our pensioners, and be part of this regeneration and this building of a society of equals and of opportunity here in Northern Ireland”. Mr DiNapoli said there had been “great economic developments” here, but noted that serious problems rermained. “Our investments are positive. But it’s very clear there are still many people who have been left out of, you know, of that economic growth. “So I think the need to build on the current successes and see that economic opportunity is more evenly distributed, I think that’s probably your most pressing challenge that’s out there. “Whether you are an unemployed person, in a Catholic neighbourhood or a Protestant neighbourhood, it doesn’t matter, you’re unemployed. “And certainly the notion that no one should be left out as you’re having the sense of optimism and regeneration, I think that’s obviously, a very key challenge that’s there.